The highest capital in the world is an absolute breath-taker, in every way imaginable. 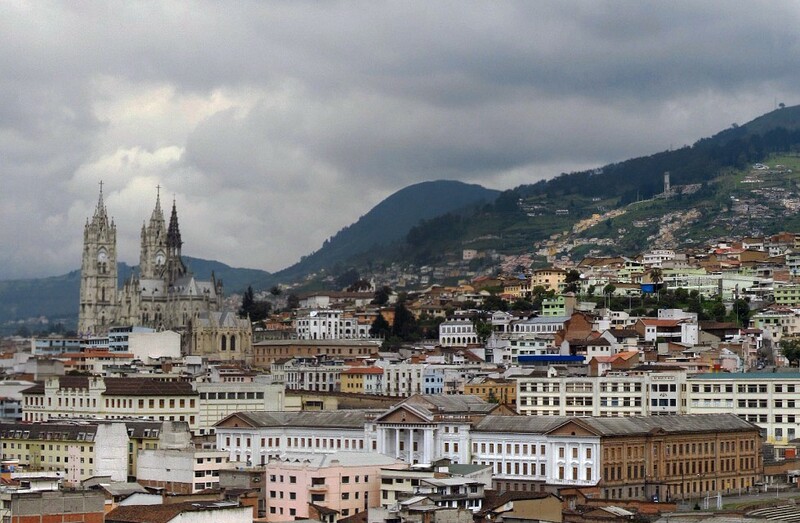 Sitting pretty high in the Andes, at an altitude of 2,800m, the capital of Ecuador is arguably the most relaxing ‘big city’ in all of South America. Conveniently split in two, with the stunning and ever-vibrant UNESCO-listed Old Town on one side, and modern, hip new town on the other, Quito is easy to navigate, offers a bunch of fun stuff to see and do and, to top it all off, boasts a simply superb setting. Nestled in an extensive fertile plateau, and flanked by vertiginous, snow-capped peaks, this effervescent city is an amazing springboard to explore the far reaches of what may be the smallest, yet also the most enticing country in the Andes. Ecuador may indeed be a small nation yet its indigenous cultures have always been quite distinct from one another, and often at war. The people from the highlands, coastal and Amazonian regions did come together to fight off the Incas, prior to the arrival of the Spaniards in the 16th Century, yet never quite managed to unite as one. Many experts believe that even if they had, however, they still would not have been a match for the invading conquistadors who were to come. Once the Spaniards arrived in 1532, it is said that they promptly demolished the relatively new Inca city which had been built (modern-day Quito), and built a rather spectacular city of their own. Yet historians argue this claim, stating that it was in fact the ousted Inca ruler at the time who razed it to the ground out of spite. Their major argument is that while the Spaniards did raze certain sections of established Inca cities to build their mansions and gargantuan churches, they never demolished any completely. Nevertheless, and try as you may, you won’t come across any Inca ruins in the city nowadays, but what you will discover is a perfectly preserved Old Town, one of the most striking in the whole continent. 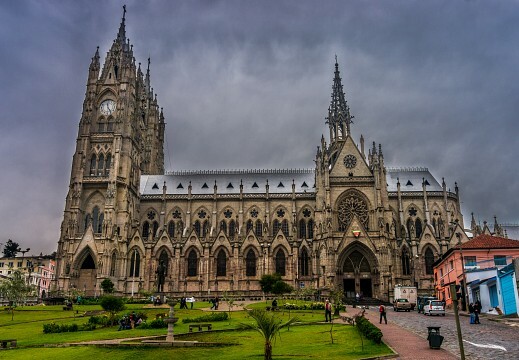 During colonial times, Quito flourished as a center of religious orders, with Jesuits, Franciscans and Augustinian missionaries flooding the city and leading to the construction of the city’s many impressive churches. 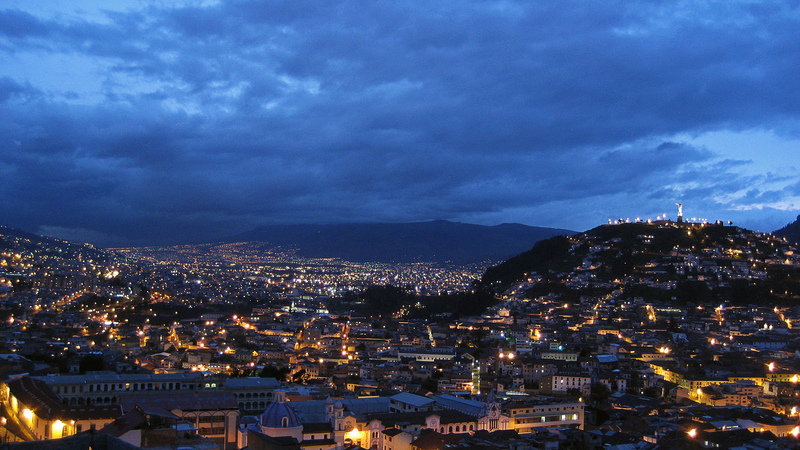 The city also became a mecca for some of the most revered artists in the continent, and even nowadays boasts some of the most incredible artwork in all of South America, including a painting depicting Jesus and his disciples feasting on guinea pig (a local Andean specialty) for their last supper. 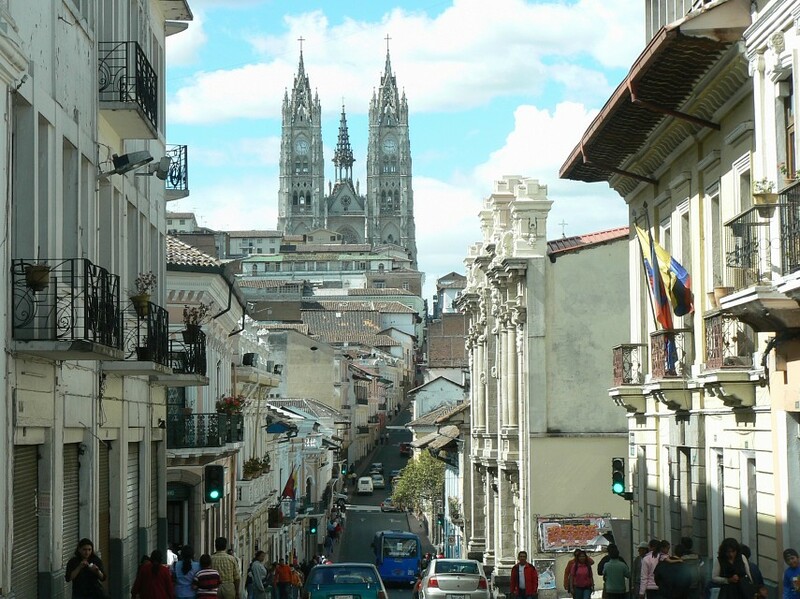 Quito first gained moderate independence in 1822, which is when it ousted the Spaniards and formed the nation of Gran Colombia along with some of its neighbors. This alliance did not last too long, however, and a fully independent Republic was established 8 years later. For touristic purposes, Quito can easily be divided into ‘New’ and ‘Old’ towns, with the new part being the hub of accommodation, shopping, dining and clubbing; and the old part where most of the sightseeing highlights are found. 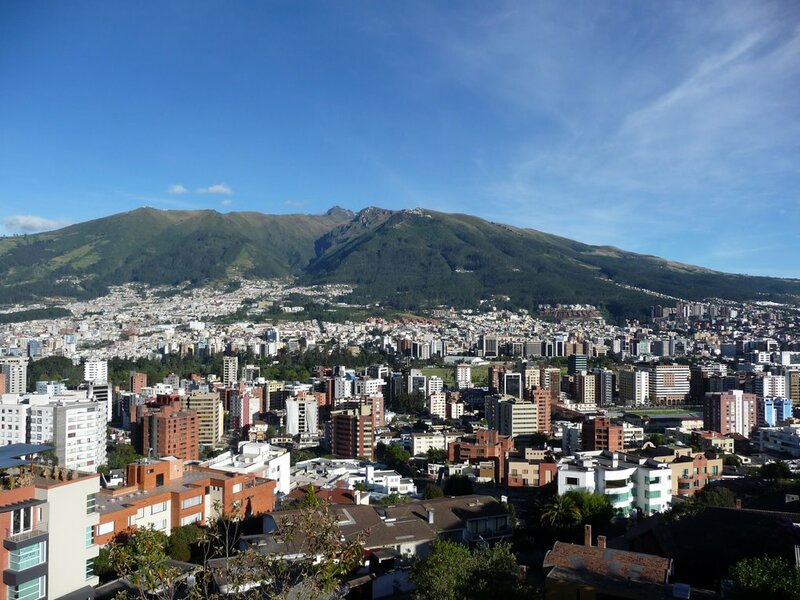 Both these suburbs, if you will, are found on the southern end of Quito, a city which is quite narrow but long, following the contours of the two mountain ranges by which it is framed. If you’ve ever wanted to explore a maze of cobblestone alleyways, home of more than 40 churches, more than a dozen monasteries and 17 beautiful plazas, then this is the place for you. This area is a phenomenal hub of museum hopping, theater visiting, infinite sightseeing and simply awe-inspiring architecture. Most visitors tend to spend their days here, and their evenings in New Town. The area called La Mariscal is where most tourists stay, as this is where they find a plethora of accommodation choices, restaurants, clubs, cafes and shops, all within just a few blocks. Known locally as ‘Gringolandia’, La Mariscal is favored by backpackers and solo travelers, who find the close proximity to everything quite ideal. 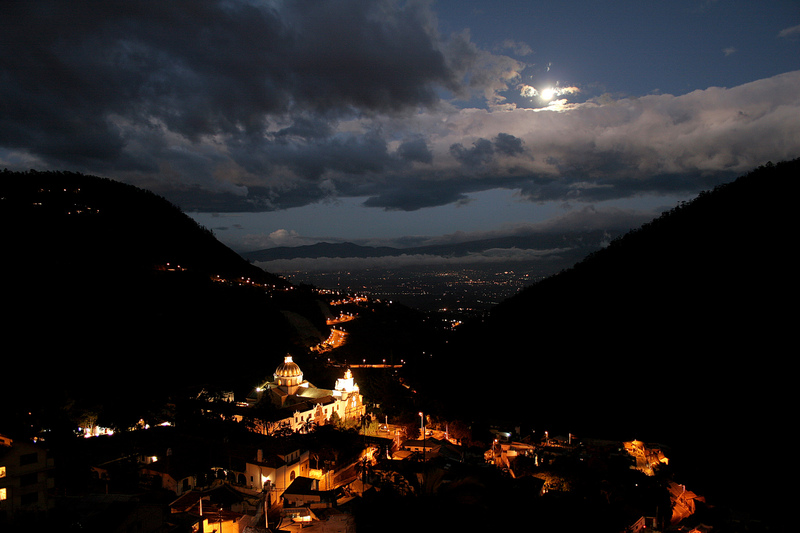 Generally speaking, Quito is quite a safe city (for South American standards), and but this area can get a bit sketchy, especially at night, so don’t roam alone and try not to walk back to your hotel drunk as a skunk. Petty theft is not uncommon here. On the edges of La Mariscal is where the new, swanky business district is, and also where you’ll find more upscale hotels. 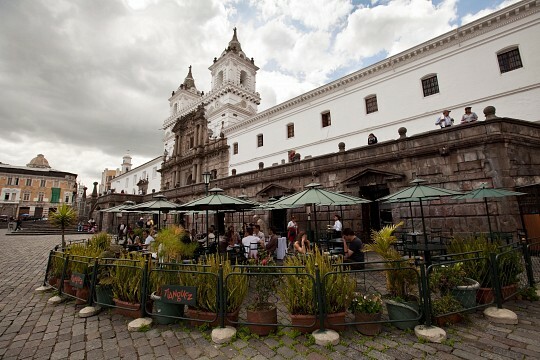 Quito’s epitome highlight is, as you may have guessed, its colonial Old Town. This is where you’ll find most of the city’s best attractions, so include a few days in town to both visit this area at length AND acclimatize to the altitude. Once you got that under your belt, don’t forget to check out nearby attractions. Give credit where credit is due, we say. Often dubbed ‘Quito’s Sistine Chapel’, this breathtaking church is the most flamboyant in the city and took over 160 years to build. Recently restored to its former glory after extensive earthquake damage, the Compañía de Jesús Church showcases an outstanding mix of Baroque, Moorish, Colonial and even local architecture. Its altars are lined with gold, every inch of its walls covered in murals and every nook and cranny adorned to the extreme. 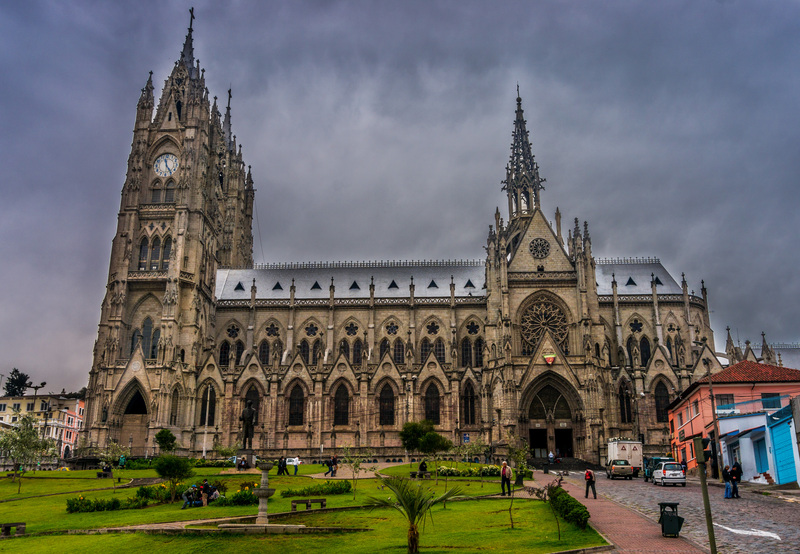 If you only have time to visit one church when in Quito, make sure it’s this one. The beating heart and soul of Old Town, Independence Square is home of the city’s Metropolitan Cathedral, an impressive monument celebrating the city’s independence from the Spaniards, as well as the Presidential Palace. Known locally as Plaza Grande, this is the people-watching spot in Quito and a great place to visit either when President Correa gives one of his numerous speeches, or at 11am, to watch the changing of the guards. A lovely grassy area complete with shaded sitting benches makes it an ideal sightseeing pit-stop. Probably the prettiest street in Old Town, Calle La Ronda is a tiny little street framed by gorgeously ornate, flower filled balconies, and home to a bunch of artisan workshops, as well as trendy cafes and eating joints. For those who love the whole bohemian feel, this may seem like a little Utopia. A few, small B&Bs dot the sidewalk, so if you really want to be in the thick of things, this may be a great option for you. Stroll through here on a Sunday or at around dinner time (which in Quito speak is about 10pm) and you’ll see street performers and musicians performing for the crowds. The Patron Saint of Quito is forever immortalized in this extensive plaza, which bears both his name and a monastery in his honor. The church is believed to be the oldest in the Americas and, although not nearly as luxurious as La Compañía de Jesús, it’s certainly worth a look for historical value alone. Actually, the interior is rather beautiful so if you make it here do make a point of stepping inside. In this plaza, you can almost feel time standing still, and as it has not been painstakingly restored like some others, one does get the impression of stepping into the oldest part of town. This magnificent Gothic Basilica is a little hard to miss, with its intricately carved spires soaring up to over 328 feet. This Notre-Dame-like-church also took a century to build and is, nowadays, one of the city’s true show-stopping masterpieces. Visit the sanctuary for just a couple of dollars or climb up to the top of the column for breathtaking views of greater Quito. On a hillside overlooking the city is where you’ll find this interesting museum, which houses one of the most enticing colonial art collections in the country. Oswaldo Guayasamín is arguably Ecuador’s most famous master sculptor and painter, and in his museum you’ll find various collections pf both his work and that of other prominent artists. Guayasamín has both been praised and criticized through the decades, primarily because he chose to depict the struggles of the indigenous people of his beloved homeland. Always provocative and ubiquitously popular, his works are considered true treasures in Ecuador, so if you want to take a step off the tourist path and feel a piece of local history and culture, then head up here for an enlightening experience. A hybrid between a monument and museum which you’ll find just a few blocks from his above-mentioned museum. If you want to actually understand the work, and how it relates to the man’s vision of a better future for indigenous people, do take a guided tour. 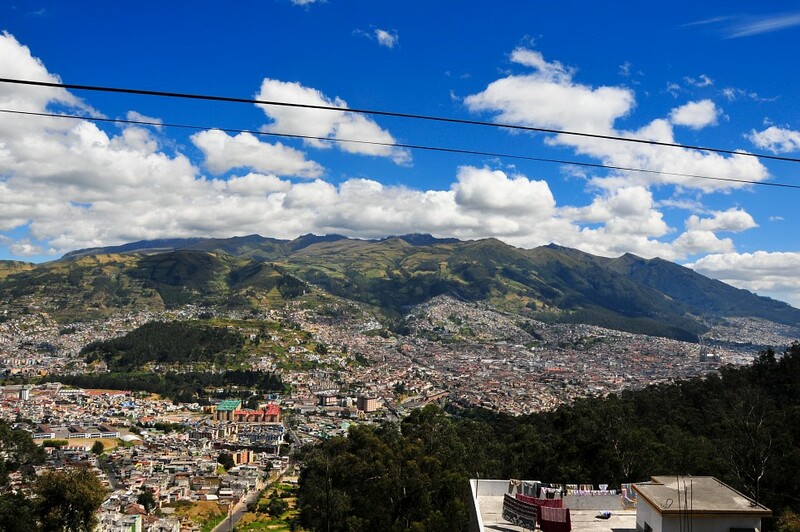 Once you’ve been in Quito for a few days and have managed to catch your breath, head out to the base of nearby Pichincha volcano, where you can catch the teleferico (cable-car) to an eye-watering height of 14,009 feet to back in awe-inspiring views. Up the top you’ll find skin-splitting cold temps, an ‘oxygen bar’ (yes, you may well need it) and an insane lookout point. If you’re game, wear your best hiking boots and continue on foot to the peak of Rucu Pichincha, a 5-7hr return trip which is as rewarding as it is arduous. 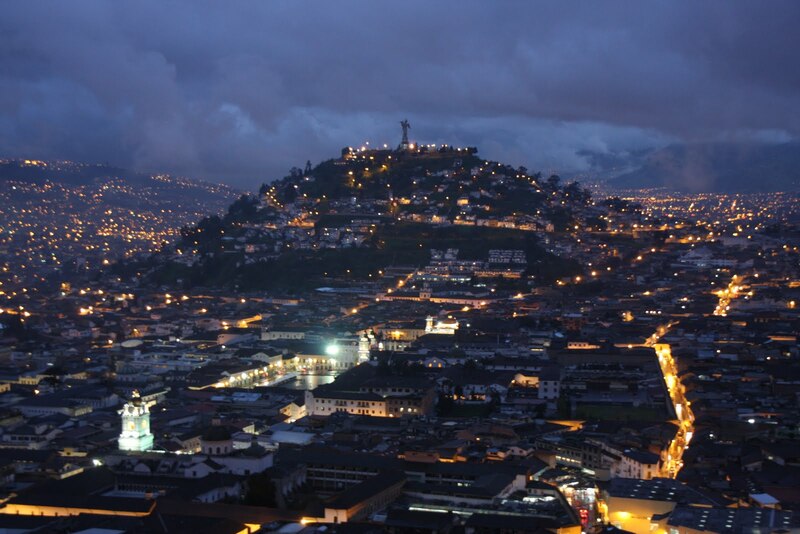 Another brilliant lookout is found atop Cerro Panecillo, a precipitous hill in the heart of Old Town, where the Incas once worshiped the sun and the Spaniards built a statue to honor of the Virgin of Quito. Of all the high-end lookout spots in town, this is probably the best of all. 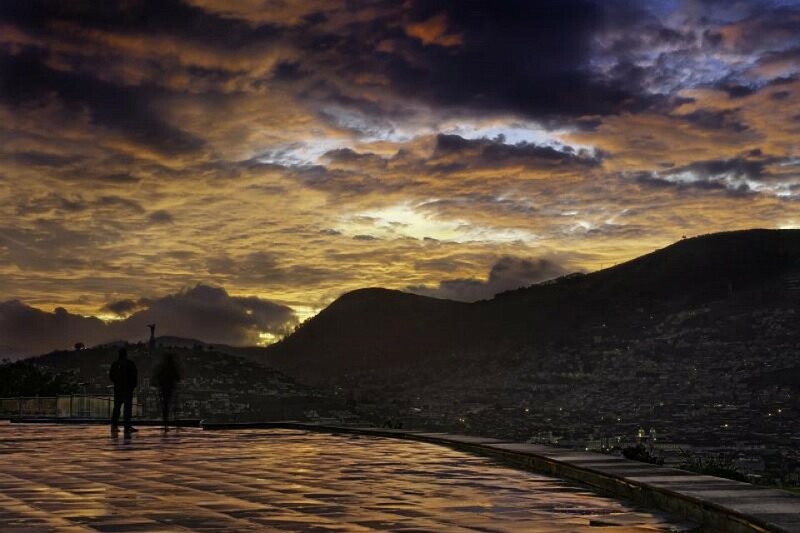 Visiting here at sunset is sensational, and on a crystal clear day will grant your sweeping views of Quito from all sides. This site is the natural border which splits the city into southern and northern sections. If you come after dark, do make sure you take a taxi up and, perhaps, some friends too. Visiting Quito and not going to visit ‘The Village in the Middle of the World’ would be a real travesty, even though the ‘village’ is a bit of a tourist trap and the equator, in fact, not even where it should actually be. The real equator line, the one determined by mathematician Charles Marie de La Condamine in 1736 now runs through someone’s house, the authorities thought they’d draw a line, build a monument and open a museum just a little way off, and no-one would notice. Notice they did but, as it runs out, no-one cares! Visiting the site is really a must, the views are superb and the attractions quite charming, in a kitschy kind of way. Oh, and you will also get to cross the equator line, albeit either in your taxi or bus as you head here on a 45 minute drive from Old Town Quito. Simply the best Andean craft market in South America, the Otavalo markets are one of Ecuador’s revered highlights and certainly worth the 3hr drive from Quito. To make the most of the Saturday-only feast, head there on a Friday and stay overnight; the town itself is a gem and offers quite a few active pursuits (hiking and horseback riding among others) so it makes for a great itinerary add-on. At the markets, you’ll find splendidly colorful weaved textiles, gorgeous pottery, antiques, spices, leather goods, local costumes and just about everything under the sun. The Saturday markets are by far the best to visit, as almost the entire town turns into one, massive stall; yet markets (on a smaller scale) are on every day of the week. La Mariscal is the definite dining spot in Quito, with a plethora of both budget and exquisite restaurants to choose from. The Western food is not good as in Buenos Aires, but if you’ve been in Ecuador a while and wish for a reprieve from the rice, egg and meat combo, then it will do just fine. If you’re after a simple but filling lunch, then head to local eateries advertising ‘almuerzos’, who offer a set lunch menu for about $ 2.00 USD . You’ll also find meat buffet places (much like the churrascarias of Rio de Jainero) which offer exceptionally filling meals for hungry carnivores. Good old Chifas, the Chinese restaurants found all over the continent, also offer great, value-for-money meals. Although Quito is up in the high Andes, the seafood in town is particularly delicious, and makes its trek from the coast on a daily basis. This actually makes Quito quite the varied culinary destination. The ever-present corn, potatoes and plantains are favored side dishes, and many restaurants nowadays offer vegetarian meals too, something which is hard to find in meat-loving South America. For a fancier night out, head to La Floresta around Av 12 October (just up the hill from Mariscal); here is where you’ll find the best restaurants in town. Old Town offers some great night-time entertainment, especially around Independence Square, where music and dancing from small clubs tend to spill over onto the plaza and surrounding streets. 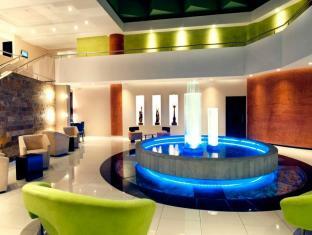 Ecuadorians are also quite fond of karaoke, so you’ll find most restaurants will turn into karaoke bars after dinner. Feel free to grab the mike and take part, Latinos love their karaoke but don’t take it quite as seriously as locals do in Asia, so if you happen to butcher the latest Ricky Martin tune, chances are you won’t get lynched in the main square. La Mariscal in New Town, on the other hand, is where you’ll find most Western back-packers, beer gardens and dance clubs, all huddled together along Reina Victoria street, just a block back from Avenida 6 de Diciembre. 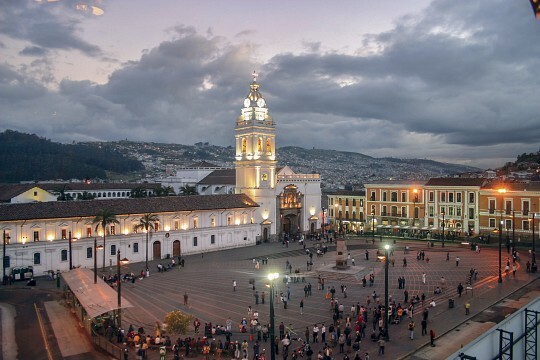 Unlike Peru, Bolivia, Argentina and Brazil, where one would need to visit the back of beyond to buy authentic, top-quality souvenirs, Ecuador makes life easy by offering the best of all the country’s products, right in its capital city. This means that you can actually leave all of your shopping till the end of your trip, buy everything in Quito and not need to lug around a suitcase full of knick-knacks. Even some of the most stunning crafts found in Otavalo can be sourced here but, because you won’t know what to look for exactly, you may not even realize how unique they are. So, after you’ve spent two days meandering about the markets of Otavalo, finish off your shopping splurge in Quito’s best retail havens. The Mercado Artesanal la Mariscal is just two blocks north-east of Parque el Ejido and offers a great range of Andean crafts and artwork, at even cheaper prices than you find in Otavalo. In fact, these markets offer much better deals than anywhere else in the country, especially if you are a great barterer. Colorful fabrics, great weaved clothing, bags, table runners, cushion covers, vases, jewelry boxes and everything else you’d never need, is all found here. The great thing about this market is that it focuses on locally made gear, rather than overpriced imported stuff. Mercado Santa Clara, one block back from Avenida America (corner of Dávalos & Versalles) is the city’s main produce market and, aside having a tremendous array of exotic food produce, also boasts fantastic food stalls, making an ideal and inexpensive lunch-time destination. Quito has taken the concept of ‘the shopping mall’ and run with it with much abandon and, although most visitors won’t have reasons to visit one, they do make for great rainy-days-in-Quito outings. Head to Scala Shopping Mall, a sanitized, modern mall with the usual array of stores (great if you forgot to pack anything) and a great food court, although everything is obviously priced at a much higher rate than anywhere else in town. Malls are still a novelty here and all is priced accordingly. 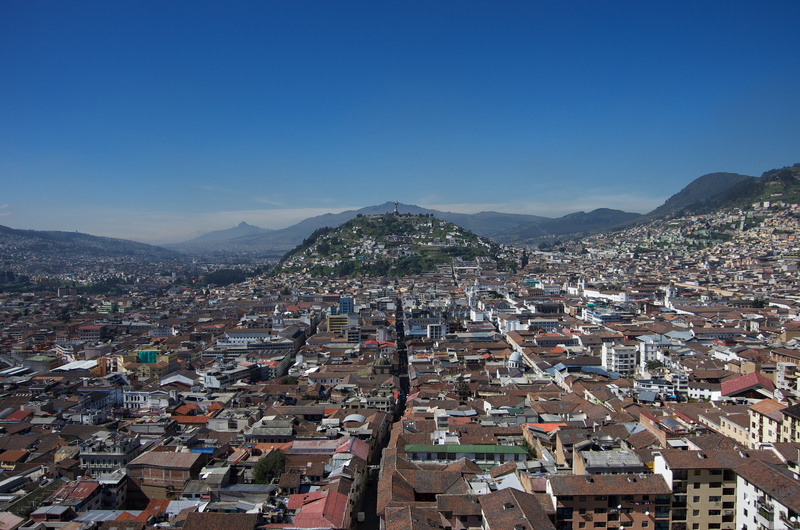 The biggest problem in Quito is that tourists don’t tend to spread about the city, but stick to only a few blocks (of either New or Old town), making it ever so easy for gangs of unsavory characters to concentrate their activities there. If there is one thing which all South American nations have in common, is that whenever you get a little pocket of tourist hive, out spawns an equally vibrant hive of pickpockets. This is, by far, your biggest danger in Quito, which is still a relatively minor nuisance. Watch out in big crowds, don’t carry too much when you go out, leave your valuables in your hotel and always wear your backpack (which you shouldn’t be carrying!) at front. After dark, everything takes a turn for the worse, so do use some common sense, walk in groups, steer clear of dark alleys and stick to places close to your hotel. When in doubt, do hop in a taxi. But we regress. 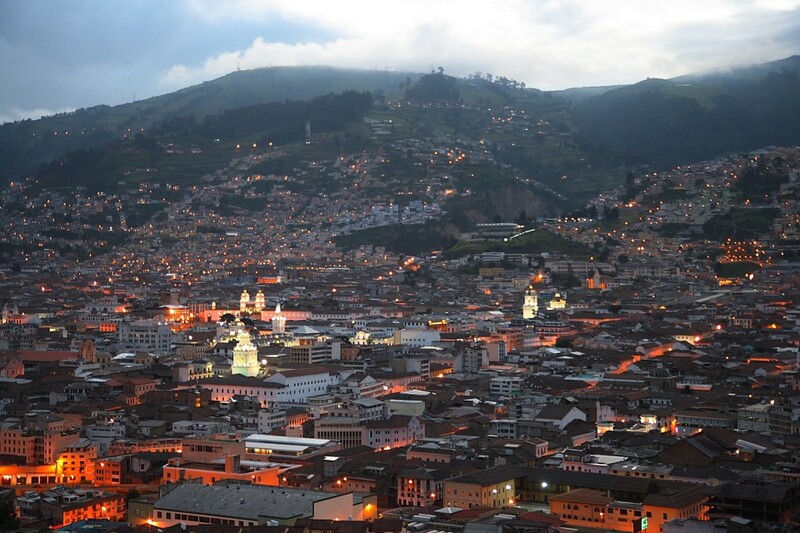 Your biggest danger, when visiting Quito, will actually be altitude sickness; so take it easy, don’t eat or drink to excess and get used to the taste of cocoa tea because it seriously relieves headaches and nausea associated with life at high altitude. Quito’s Mariscal Sucre International Airport is about 20kms out of town and has been recently built. This is one of the busiest hubs in the continent and handles arrivals from all corners of the globe, as well as from every country in South America. A taxi ride into town center (new and old alike) takes about an hour and should cost no more than $ 30 USD . Share this with a couple of fellow travelers and it will be the best deal yet. The Airport Express Bus costs just $ 8.00 USD and makes stops at selected points in both new and old town. If you want to explore the northern parts of Ecuador, then you need to be catching buses from Terminal Norte, whereas if you want to head down south, look for connections from the Quitumbe Terminal instead. When in town, it may be useful to hop in a taxi to get to and from specific areas (from New to Old town, or the Teleferico) and, once there, get about on foot. All of Quito’s hubs are very pedestrian-friendly. The electric tram lines which runs between Old and New town is very convenient and rides cost only $ 0.25 USD , although remember to have exact change for the turnstiles. Trams are favored by pickpockets, however, so do beware at peak traffic times. Although the city, as expected, does have a very extensive system of buses, the connections are quite complicated and time-consuming to get a hold of, so if in town for just a few days, it may not be worth your while to learn the ins and outs of this option. 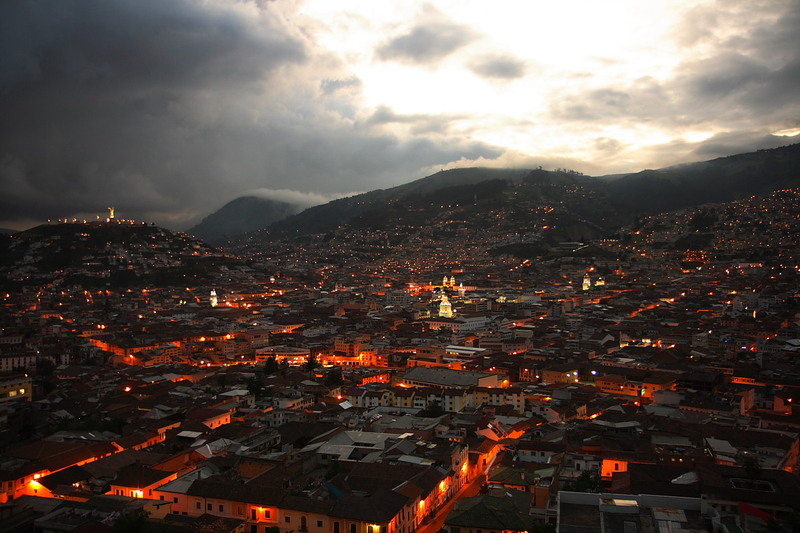 For a fantastic overview of the city, make use of the Quito Tour Bus, which is the city’s hop-on/hop-off option. Convenient and frequent, this is a great option for time-savvy travelers, although at $ 15 USD a pop, it does cost a smidgen more than it would, if you were to take taxis all day long. The Ecuadorian capital offers the best of everything you’re after, whether it be cheap and cheerful hostels or flash-as-can-be 5* digs. New Town has a much more varied selection than Old Town, although choices at the latter are a little more charismatic and, usually, housed in old colonial buildings. If you’re a night owl, then do stick to New Town, but if you’re happy with a dinner out and a quick stroll through the most central part of Old Town, and have a bit more cash up your sleeve, then Old Town is a great option.